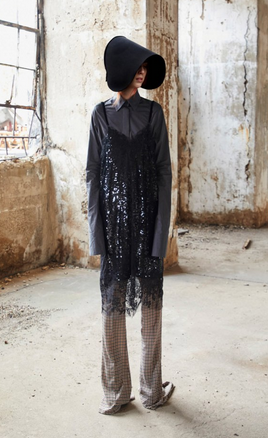 My top favorite collections at Paris Haute Couture week in Paris. A gorgeous flower arrangement is always a nice gift to receive but here are a few Valentine’s Day gift ideas for women and men. A few gift idea's that I think have been trendy this year! Barefoot Dreams, Trimmed Throw - 45"x60"
This year, I attended Art Basel/Design Miami for the first time. I had an amazing time because I do love to see all the art work that is included in all of the different shows. A $50 Million Rothko was also part of the exibit but it was not sold but a $17 million Pablo Picasso’s Tete de Femme (1917) at Van de Weghe Fine Art. A lot of the art work I have seen before, but I did take a few pictures of my favorites. 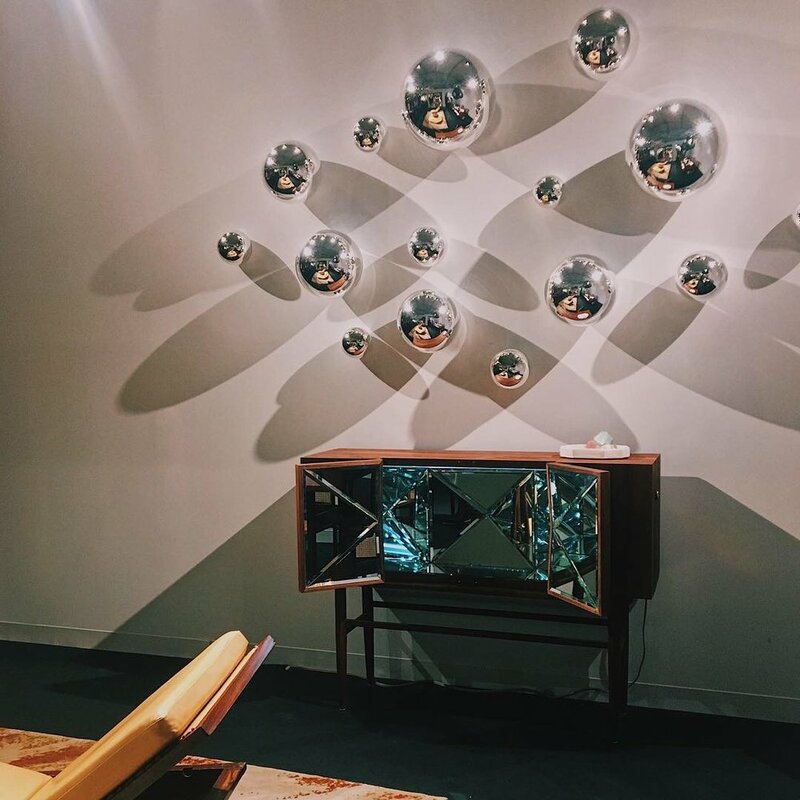 Design Miami gave me life because I love interior design. It was absolutely stunning. 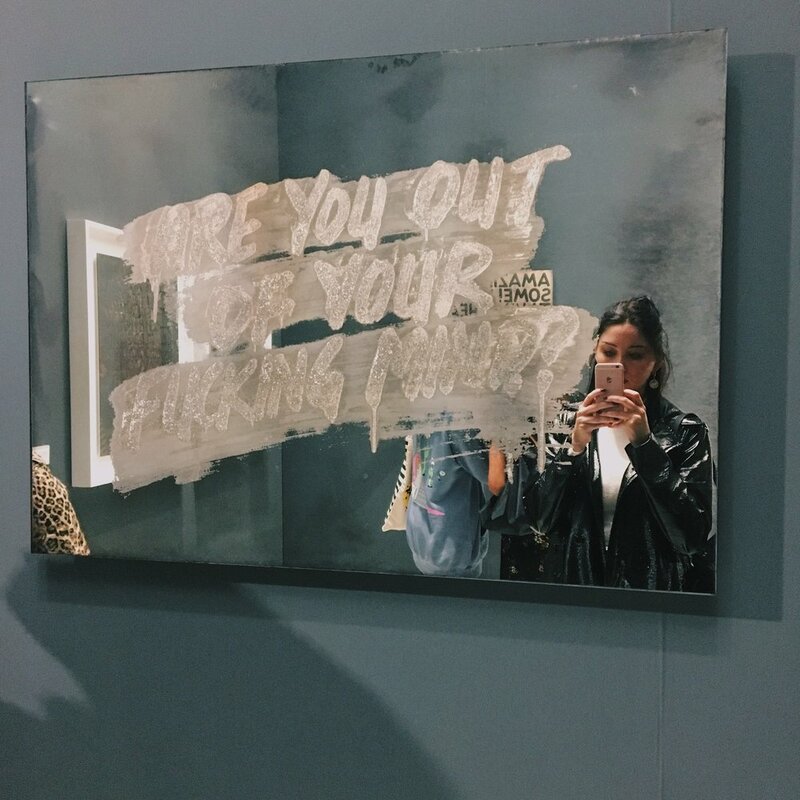 One of my favorites was this piece by Issy Wood. I’m not a fan of of her portrait work but I do love the surface and fabric painting that she paints on canvases. Founder of the Spatialism movement. In his “buchi” (hole) cycle, he punctuated the surface of his canvases, breaking the membrane of two-dimensionality in order to highlight the space behind the picture. 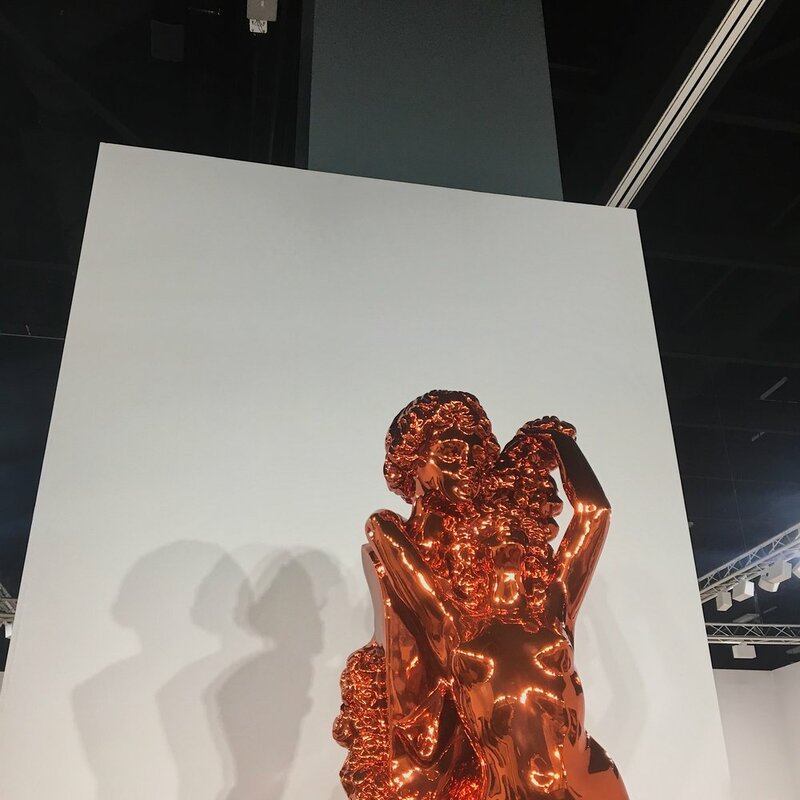 Here are some pictures of other artworks from Art Basel. These include Pablo Picasso, Andy Warhol, Mary Weatherford, Ect..
10th year anniversary of Fendi iconic peekaboo bag. Resin replica resting on a bed of water. 10 unique pieces were made. Harry Nuriev presents The Office inspired by the Balenciaga SS19 fashion show. Louis Vuitton, in 2012, launched "Objets Nomades," a collection of pieces conjured up by inside creators everywhere throughout the world, enlivened by the brand's 160-year history of travel. Established by Yu Wang and Xiao Lu, Gallery ALL is focused on an expansive imaginative and structure discourse. It is a curation-drove, multidisciplinary display, exhibiting existing works and authorizing new ones. Gallery ALL is based in Los Angeles and Beijing. R2 (fur) - Railing Series, 2017 Stainless steel, Australian sheep fur. This is part of a limited edition set. 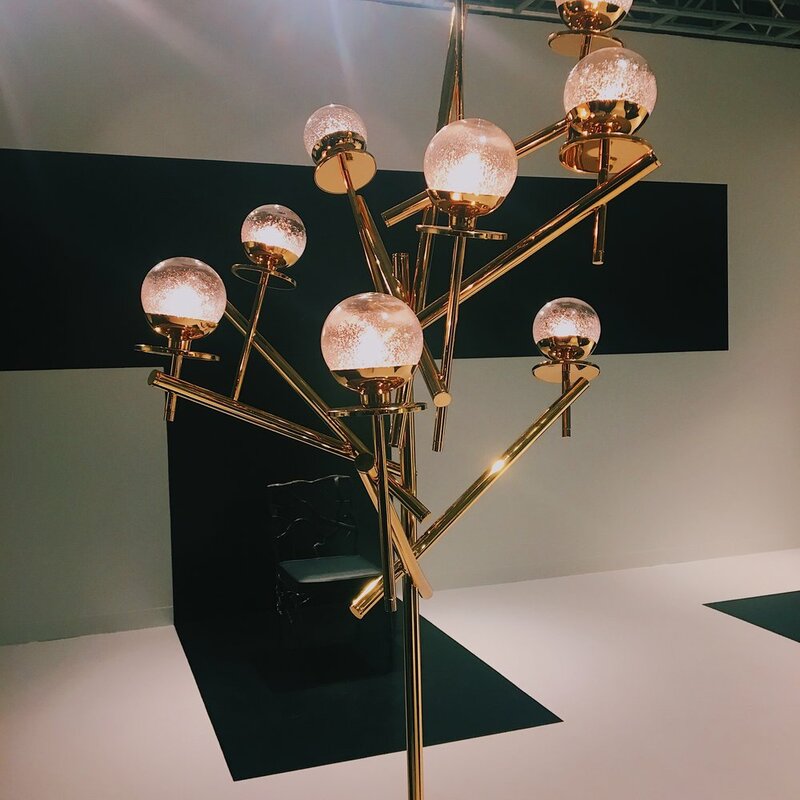 Inaugurated in Barcelona in 2016, SIDE GALLERY, works with international design of the twentieth century and contemporary design. The exhibition centers around Latin American verifiable structure from nations, for example, Brazil, Mexico, and Venezuela, basically focusing on crafted by Luis Barragán, Lina Bo Bardi, Oscar Niemeyer, and Joaquim Tenreiro. Set up in 1999, Sarah Myerscough Gallery advances formal and tasteful developments inside contemporary visual expressions by separating limits among fine art, specialty, and plan. Kasmin Gallery established in SoHo in 1989, develops a program that puts after war figures and innovators in important discourse with the advancing practices of both rising and set up contemporary artists. R and Company speaks to a recognized gathering of recorded and contemporary fashioners whose work is among the most imaginative and fi nely created of their time. Owners Zesty Meyers and Evan Snyderman have accumulated worldwide recognition for their earth shattering presentations and distributions and for their promise to saving history through their broad archives,library, and private gathering. 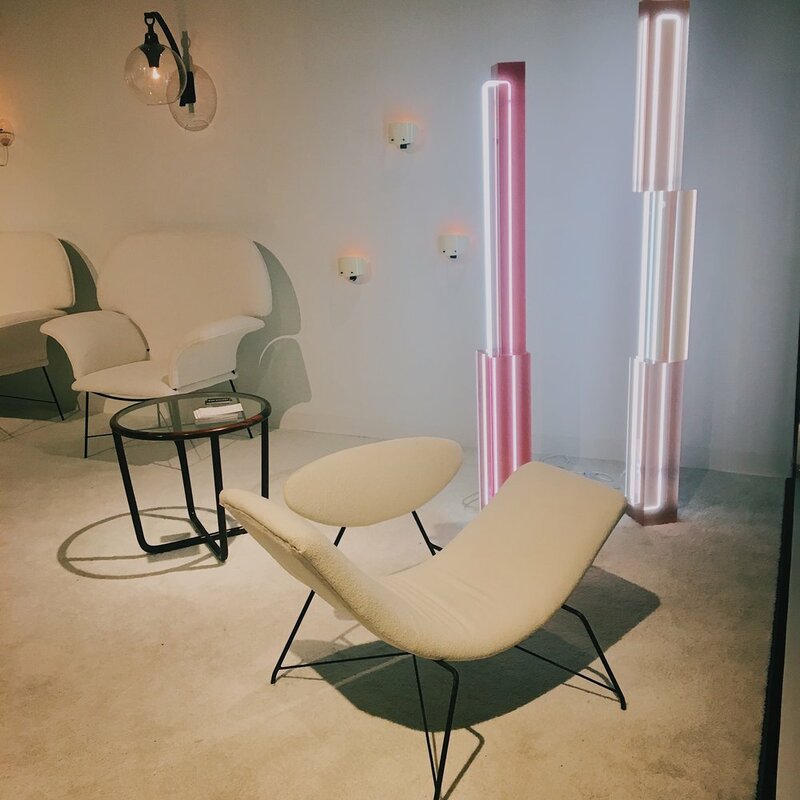 Galerie Patrick Seguin presented a selection of furniture by Pierre Jeanneret, Charlotte Perriand, and Jean Royère in a warm niche that highlights Royère’s elegant and whimsical 1950’s aesthetic. Hefer's works have turned into an interesting component on the worldwide plan circuit. His human-scale homes and living cases are both dreamland and useful furniture. Wonderfully created, they bring out blamelessness and wild forsake. Their obvious fun loving nature gives a false representation of the profundity of reasoning characteristic in the work. Repeating topics are the loss of impulse, humankind's distraction with got insight, and the exercises understood in the characteristic world. James Brown, Leather sheepskin steel. USM praises the North American prelaunch of its Haller E line with this cutting edge go up against a great Swiss ski stop. Constructed utilizing USM's progressive USM Haller measured furniture framework, vitality courses through the simple structure and goods of the hotel to remotely enlighten its scanty inside. The "windows" of Light Lodge grandstand Alpine scene photography by acclaimed Swiss picture taker Bruno Augsburger. Built up in 1994, CONVERSO, has turned out to be one of America's most conspicuous merchants of current goods and articles, featuring furniture by draftsmen, uncommon models, and restricted versions that draw in the consideration of authorities and originators alike. 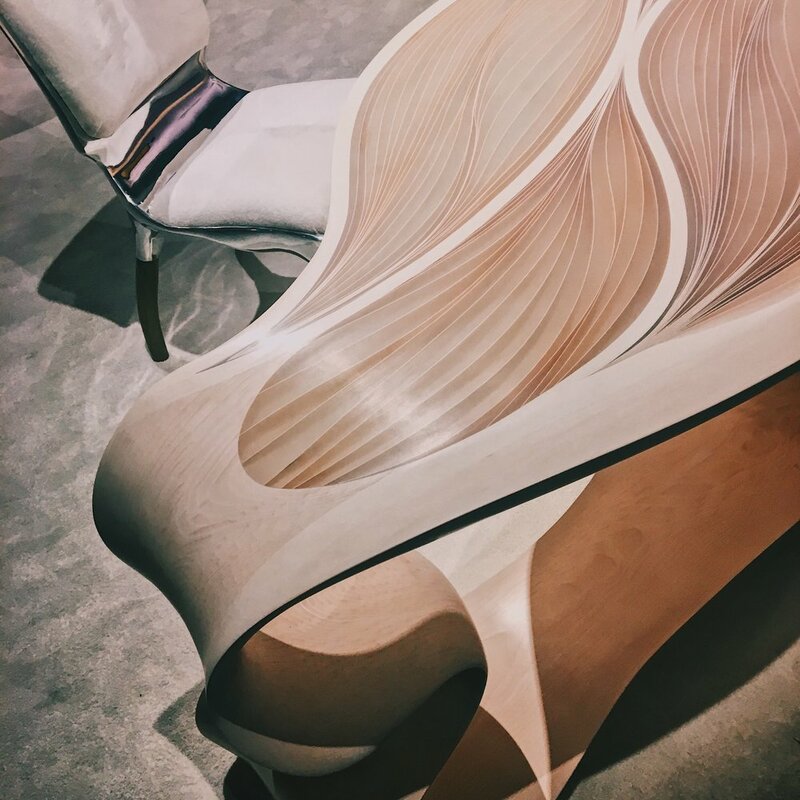 Converso exhibition paid tribute to after war American engineer and creator Warren Platner, re-making an adaptation of a 1989 private inside he contrived for a customer in Greenwich, Connecticut. 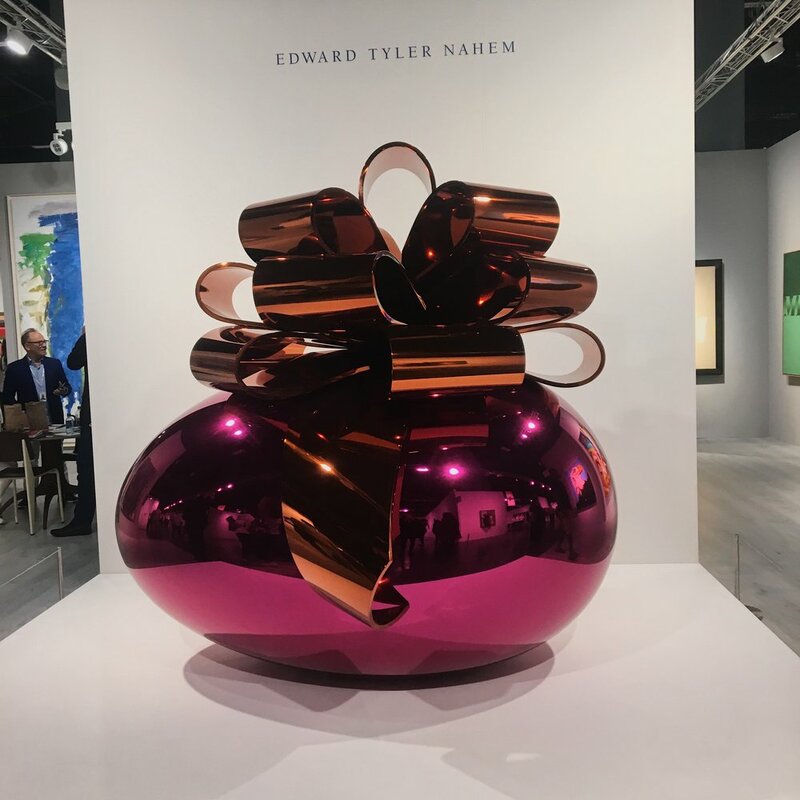 Friedman Benda took its association with Brazilian structure mammoths the Campana Brothers to the following dimension, uncovering their fun loving coordinated effort with craftsman KAWS in a über-Instagrammable corner. The Entrevero furniture collection by Argentinian designer and artist Cristian Mohaded. My Top 10 collections seen at Fall/Winter Paris Fashion Week. My Top 10 collections seen at Fall/Winter Milan Fashion Week. My top 5 favorite looks from the Harper’s BAZAAR ICONS Party by Carine Roitfeld in New York City during NYFW. My top 5 Favorite Trends x Fall/Winter 2018-2019 at New York Fashion Week. Micheal Kors, Calvin Luo, r13, Self Portrait, Derek Lam, Z&V, Jonathan Simkhai, Taoray Wang, Dion Lee, Nicole Miller, & Zimmerman. Vivviane Hu, Sally Lapoint, Colovos, Noon by Noor, Dion Lee, Tom Ford, Nicole Miller, Adam Selman, Bibhu Mohapatra, Brock Collection, Romeo Hunte, Tory Burch, Christian Cowan, Alexander Wang, Sies Marjan, Z&V, Oscar d Renta, & Zimmerman. r13, Z&V, Area, JC, Victoria Beckham, Bibhu Mohapatra, Collina Strada, Adam Selman, Tom Ford, Jeremy Scott, & Calvin Luo. Cinq a Sept, Ulla Johnson, Brock Collection, Ulla Johnson, Jonathan Simkhai, Cushnie et Ochs, Bottega Veneta, Sies Marjan, Calvin Luo, r13, Dan Liu, Pamella Roland, Sally Lapoint, Derek Lam, Z & V , Area, Dion Lee, Alice Mccal, Tory Burch, Tom Ford, Zimmerman, Jill Stuart, & JC. Ulla Johnson, Tory burch, Alice McCall, Brock Collection, Taoray Wang, Jonathan Simkhai, Bottega Veneta, Zimmerman, Self Portatrit, Tom Ford, Area, Anna Sui, Cinq a Sept, Nicole Miller, JC, & Cinq a Sept.
Other trends that are in: hot pink, red, leather, velvet, pastel, and millennial pink! Dion Lee, Alice Mccal, Nicole Miller, Jonathan Simkhai, Brock Collection, Calvin Luo, Christian Soriano, Ulla Johnson, Alexander Wang, Jermey Scott, & Adam S.
My top beauty trends for the Fall. As seen on the Ulla Johnson runway was real gold leaf all over the lid and on the Kate Spade runway was rhinestone on the lids. Smokey eyes were seen on the runway of Tom Ford, Jill Stuart, and Carolina Herrera. Tadashi Shoji used a red lip with a warm eyeshadow. Red lips were also seen at Cushnie Et Ochs runway show and Brandon Maxwell used a red lip with a gold highlight on the cupid bow - super elegant! This is one of my favorite collections out this past fashion week and it's probably going to be one of my favorite collections ever. It's absolutely elegant, stunning and timeless. It also has some of my favorite trends incorporated such as suits and bustier. Ms. Wang was inspired by “The Handmaid’s Tale." I will post some of my favorites down below. 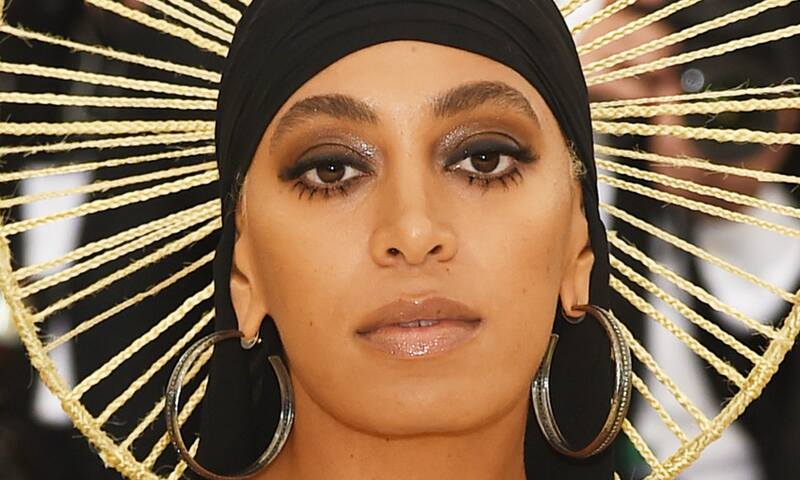 Met Gala 2018 - "Heavenly Bodies: Fashion and the Catholic Imagination." One of the most exciting nights for fashion was last night. 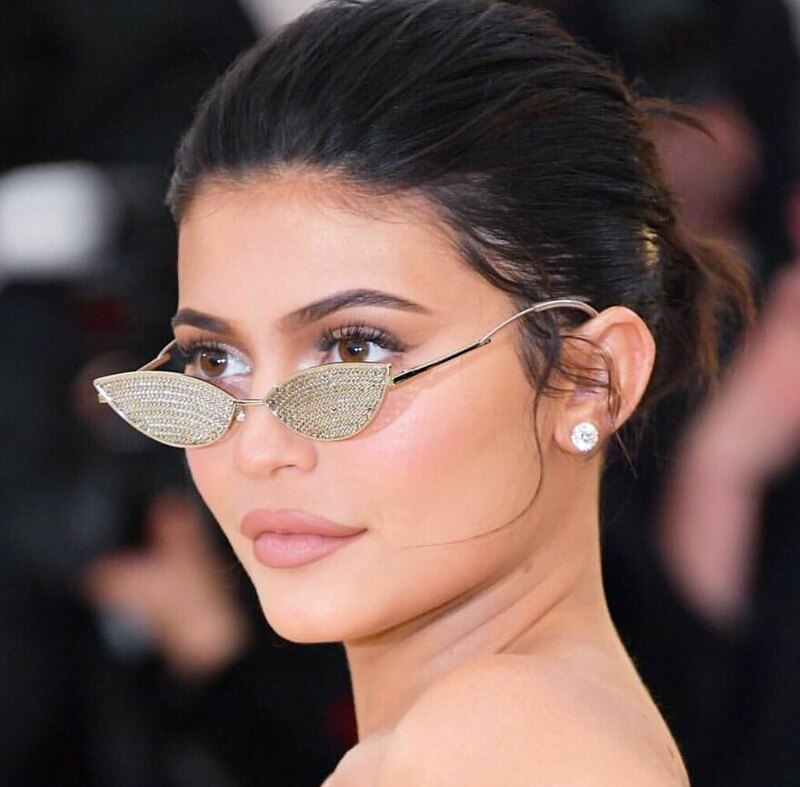 Fashion's biggest night out, The Met Gala. This year's theme was "Heavenly Bodies: Fashion and the Catholic Imagination." This year's Met Gala was probably one of my favorite themes EVER. I also love when these icons take the time to respect the theme and slay it. I believe some celebrities and designers could of added more imagination to some of the couture. Some dresses were extremely detailed to the last button and other were more simple. I mean how can anyone disagree, they looked amazing. This is what I want to see at the Met Gala. Other looks that I loved in order. Here are details of the accessories and makeup looks that I very much enjoyed. I also very much enjoyed what the men wore, here are two of my favorite mens looks. Other of my favorite men's looks. Spring has arrived and a pink eye look worked perfectly with all of the beautiful flowers blossoming in New York City. - Apply all over lid and blend out. - Blend with the neon pink eye shadow and add to inner corners. My favorite trends that I saw during Paris Fashion Week. Some of my favorite trends seen at Milano fashion shows were, pattern on pattern, suits, midi skirts, and color. The Versace fashion show was ICONIC this year. I enjoyed most of the clothing at the Versace fashion show this year. It was AMAZING. After attending a few shows and fashion week events earlier during the year, New York Fashion Week Spring 2018 has been over but I want to share some of my favorite trends. Bright colors are very in. Make a statement. From corsets, bras, to harnesses. The Brock Collection is one of my favorites, I posted three pictures below because I absolutely love these dresses! I love the wide shoulder look, it's super chic! Hello 70's! Windbreakers are back! A few other trends are sequins, plaid, and tracksuits. So, none of the dresses at the Oscars really wowed me this time around so I thought I'd share my top 10 favorite Oscar After Party dresses. Decided to go to Sin City aka Las Vegas for a long weekend. I've visited Vegas before and these are some of my favorite hotels that I have been too or have heard great things about. Nobu LV - Always a great time. Lobster ME - great for a quick bite or lunch. Sushi Roku - Fun sushi special rolls and great cocktails. Gordon Ramsey Burger - The Veggie Burger was delicious. Visit the Gold & Silver Pawn shop if you're a fan of the show. Drai's After Hours - went around 4 am and left around 8am. A lot of fun. Explore hotel casinos and lobby's many have different installations. Palazzo had the LOVE sign. The Chandelier - One of my favorite bars ever. Try the Verbana cocktail on the 1.5 fl. You're welcome.